As an adviser of a yearbook at the college level, I can tell you: We want your students! We want staffers who know a little about design, photography, reporting and writing, and have heard of gutters, colophons and divider pages. 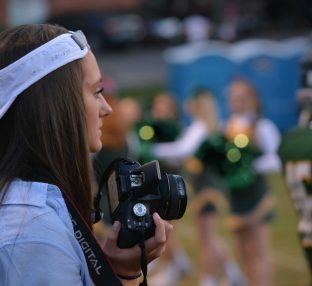 Putting the “year” in yearbook coverage is a struggle for some staffs. In many publications, the summer months either do not exist at all, or the lonely spread looks suspiciously the same each year. However, summer coverage does not have to be limited — or boring. Thirty years? Where did the time go? I am currently in the process of guiding my 30th staff through the challenging, but always amazing, journey of creating a yearbook. Noelle Chilson will not remember attending a summer yearbook workshop in July 2011. She was only three-and-a-half months old at the time. Noelle went because her mother, adviser Emily Chilson, thought workshop was so important that she loaded up Noelle and the Pack ‘n Play® and accompanied her students to the Northwest Yearbook Workshop in Tacoma, Wash.
Spring is a busy time for yearbook staffs and advisers. As you get closer to the finish line on the 2012 yearbook, the time to start preparing for the 2013 book is now. The newest issue of Idea File magazine is here, and it is filled with topics to help get you ready. Our final day of school last year should have been an exciting day for our students at L’Anse Creuse Middle School–Central. However, for more than 50 of them, disappointment clouded the day. A simple technique using color can make the subject of an image pop. When you want to enhance the focal point of your image, all it takes is a few easy steps. As coverage of the school year is winding up, think about what would have helped your photographers this year, and consider creating a checklist for them for next year. Create text and graphics in InDesign that have that fuzzy look like the embroidered letters you see on a letter jacket. The keys to making any yearbook program run smoothly and minimizing work and stress involve organization and continuity, and this is especially true when you are faced with the added challenge of your staff meeting as an after-school club.